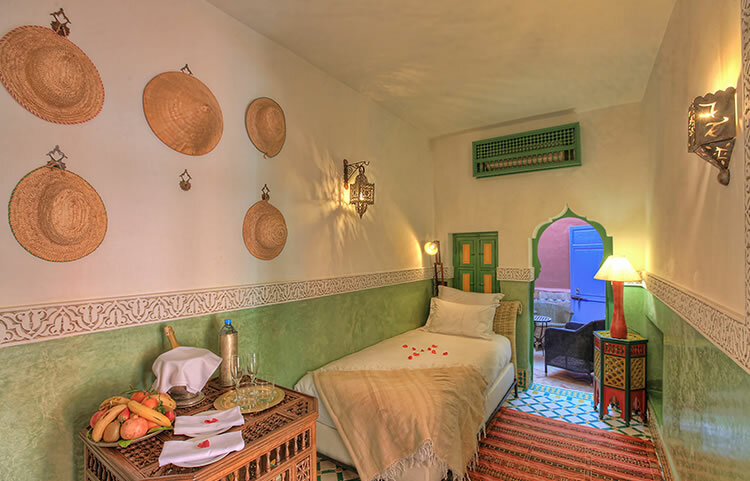 Our dedicated Deluxe Twin Bedroom is ideal for adventurous pairs who want to combine an authentic riad experience with the cultural exposure of staying in the beautiful and unique old Medina. 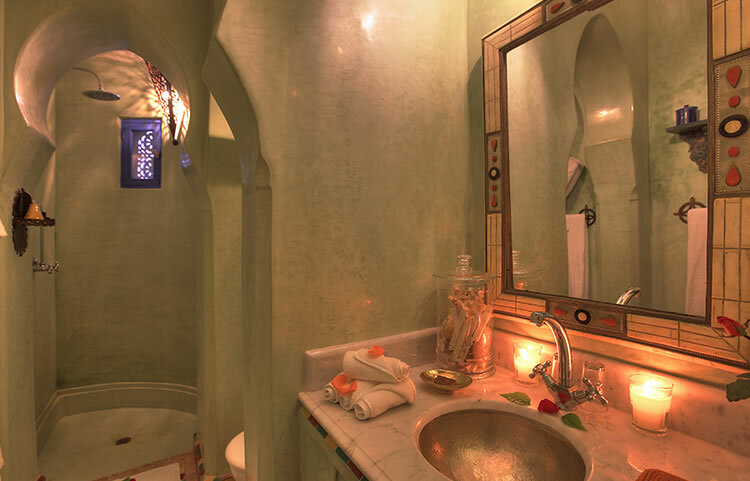 The room is decorated entirely with fixtures and fittings which were hand crafted within a few square kilometres of where you will sleep, the perfect subjects or backdrops for all your Instagram feeds and holiday Snapchats! When you are back in the room after a long day of exploring the busy city, you can look forward to enjoy all the comforts you would expect from any modern hotel including; independent climate control, high quality bed linens, en-suite bathroom facilities and most importantly, WiFi! 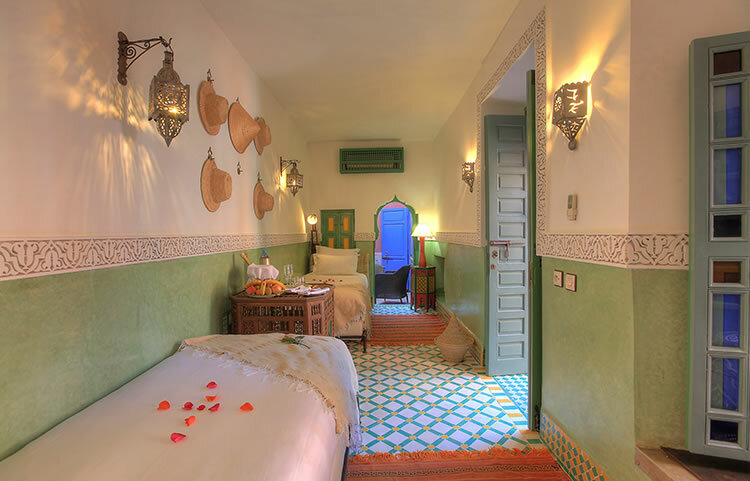 Book directly with us at Riad Kaiss to ensure you are getting the best price for our fantastic Deluxe Twin Bedroom.